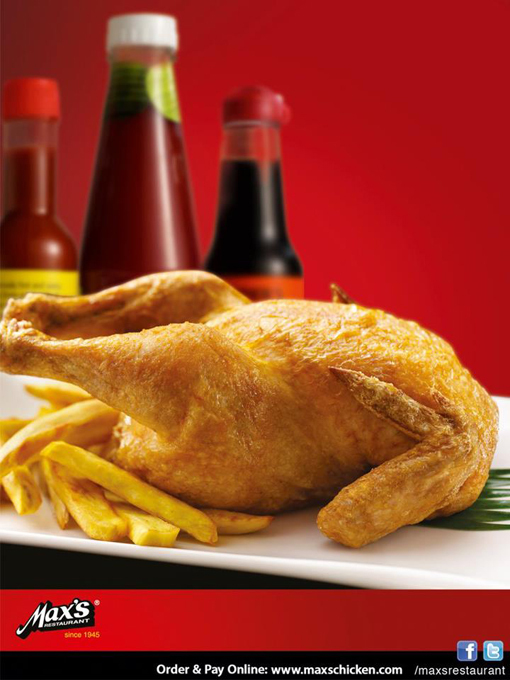 Bring home a Max's Fried Chicken for takeout for only P299 available at all Max's stores nationwide (Philippines only). Every purchase now comes with 1 free bottle of Max's very own Banana Ketchup! Till October 31, 2012 only! Max’s has shared tradition and created the most unforgettable memories with Filipino families for generations. From dining solo, dining in big groups, and now dining in small groups of three or four, “Max’s 4Sharing Meals” where customers can indulge in a sumptuous spread of one whole, regular, sarap-to the-bones Fried Chicken, 4 servings of rice, 4 glasses of iced tea, and a choice of Max’s Adobong Baka sa Gata or Max’s Beef Caldereta. Priced at only PhP 899, perfect for small group get-togethers. 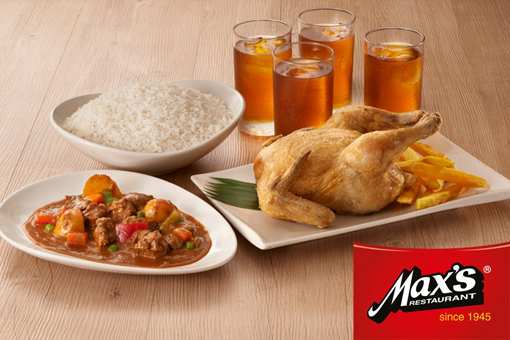 Max’s 4Sharing Group Meal offerings will be available for delivery and take-out in all of Max’s branches nationwide. Tender chunks of beef and sayote cooked in a rich and mildly spiced coconut milk sauce with green finger chili - its Max's Adobong Baka sa Gata. A traditional Filipino dish, a hearty beef stew in thick tomato-based sauce, with just the right level of spiciness, garnished with tomatoes, carrots, red and green bell peppers and green peas, Try Max's Beef Caldereta now! 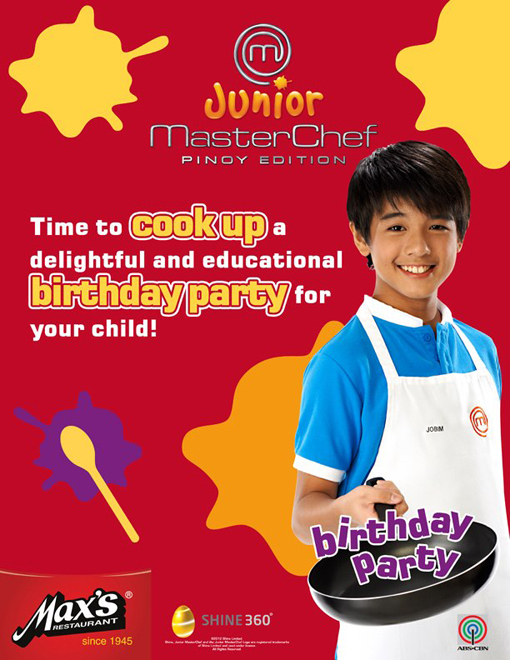 Celebrate Your Kid’s Special Day in a Unique Way with Junior MasterChef Parties at Max’s. Taking inspiration from the Filipino’s inherent value for family relationships, Max’s Junior MasterChef seeks to nurture every child’s love for cooking and appreciation for food. Aside from Max’s Junior MasterChef birthday party theme, Max's Restaurant kiddie Party Themes and Packages like Junior Art Masters, Princess Palace and Super Racer are also available. Max’s Restaurant Ayala Center Cebu and SM City Cebu Max’s Restaurant delivers for a minimum of Php 300.00 Max's Delivery. Max's Restaurant can also held a Christmas Party for you, Call Max's for unique Party Solutions. Visit Max’s website at www.maxschicken.com or like Max’s Facebook fan page at www.facebook.com/maxsrestaurant. 0 comments: on "Max's Ways for Cebuanos to Enjoy Max's Chicken with Family and Friends"